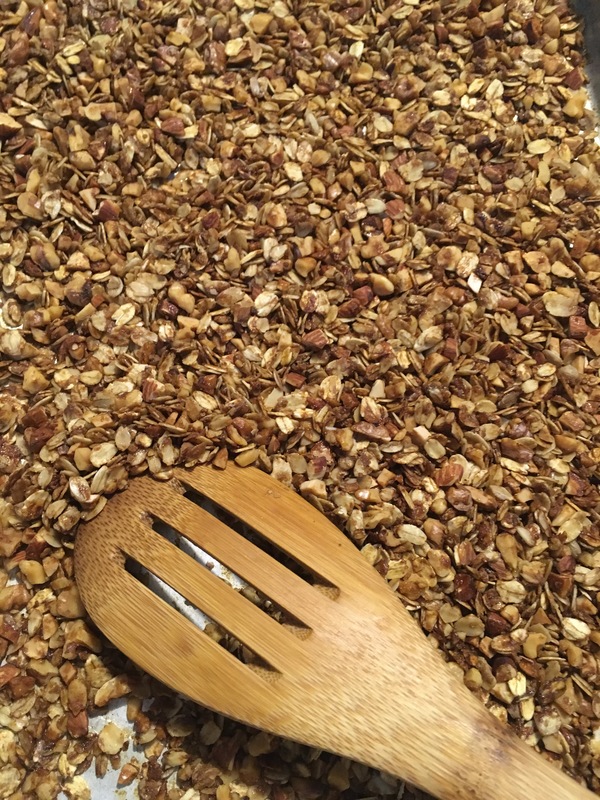 Why am I making my own granola? 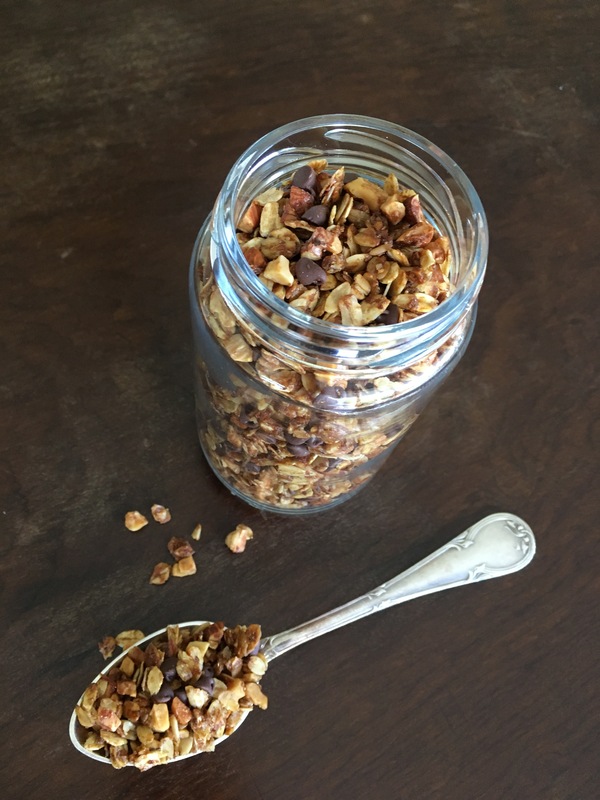 I could just say that homemade granola is much more crunchy and flavorful than the supermarket ones. But the thing is, I find supermarket ones quite annoying, if not for the raisins (that I really like on waldrof salad and apple pie, but make no sense in granola), there are also the big lumps of sugar that show me that there is more sugar than the necessary. Preheat the oven at 250 °F. 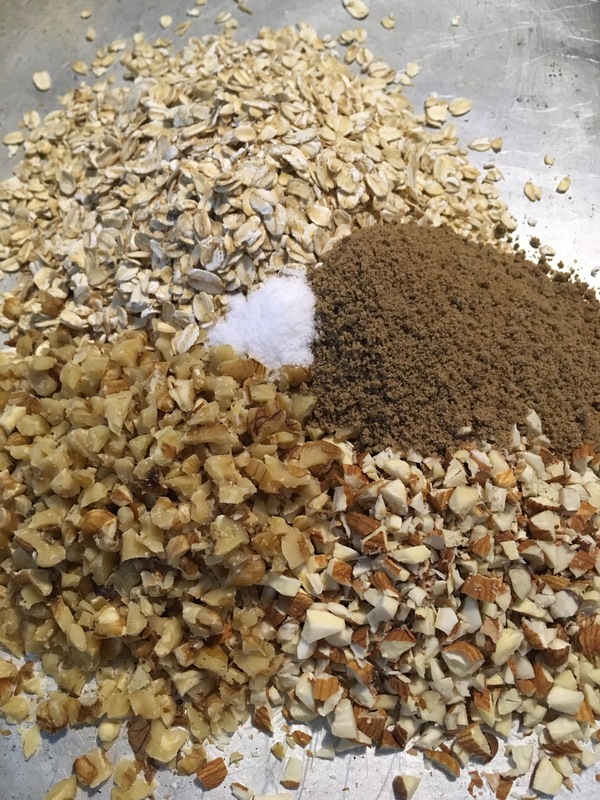 Mix the oats, almonds, nuts and sugar. I do that right way in the sheet pan. In a small bowl mix honey, oil and salt. 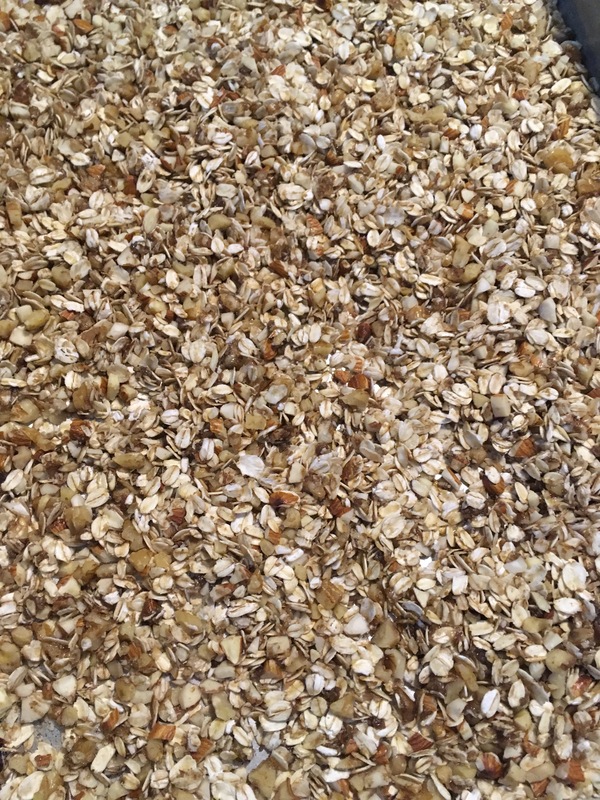 Pour the mixture over the oats nuts mixture and stir untill oats and nuts are well covered. Cook for 1 hour 15 minutes, stirring ever 15 minutes. It will warrant even color. Let it cool and storage in air thigh containers.